When we were at camp the other weekend, we were given a small Undefined kit to play with. There was a competition actually to see who made the best stamp, although I didn't manage to come up with an idea and get mine carved in time. 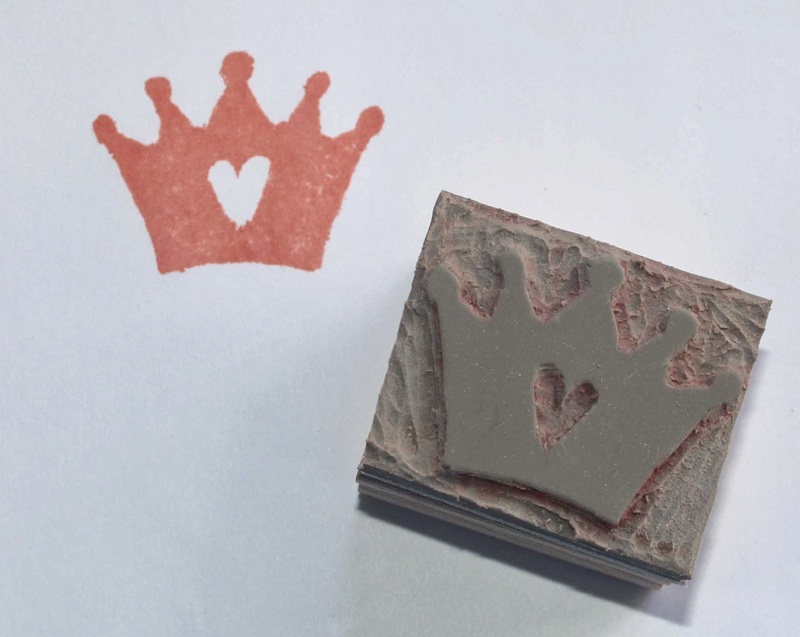 With two little girls and no princess stamps I decided on a princess crown for my stamp. It was great fun and really rather satisfying to know you've done it yourself. Why not have a go yourself - contact me to order your kit and have a go.